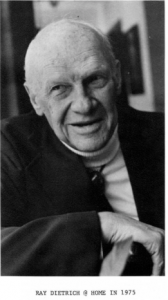 A good friend until his death in 1980, Ray Dietrich (link to http://CoachBuild.com for an excellent article), was a giant of a man. Tall, straight, and warm of heart. He asked if he were to design a car for me what chassis would I choose? 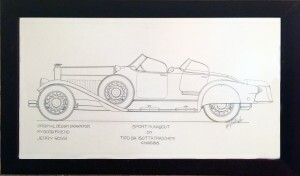 When I said a Tipo 8A Isotta Fraschini, he said, “I designed all of Rudy Vallée’s automobiles on a Tipo 8A chassis. That’s a wonderful choice.” “What style?” he asked. “Sport Runabout”, I replied. When he showed up with the drawings, I was stunned. 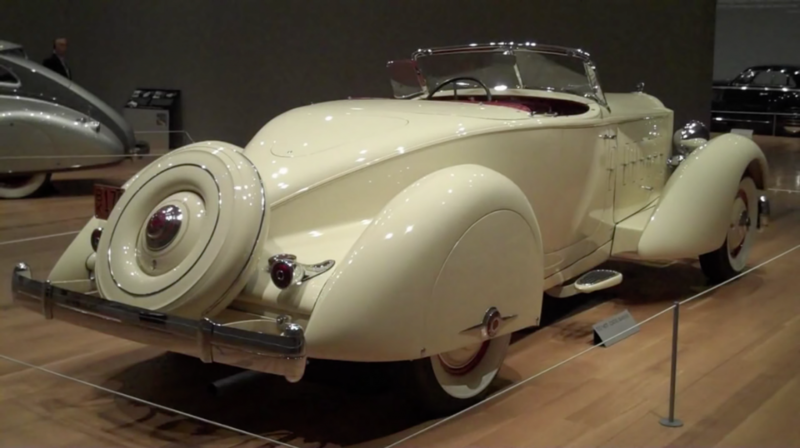 “I liked the Sport Runabout so much that I designed a Sport Phaeton as well,” he said. Both are shown above. I will always treasure my original designs, but more, the time I spent listening to one of the greatest car designers the world has ever known. His stories of sitting on the curb outside the gate of the Ford Estate with Edsel Ford smoking cigarettes (Mrs. Ford would not permit smoking on the grounds) and discussing the future of the automobile left me in awe of his history. 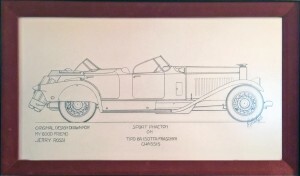 Ray sold auto designs to all the great brands of the 20’s & 30’s as well as all the Captains of Industry and Celebrities. He charged $10,000 a quadrant. In the early 30’s, Packard gave him his own line! Unheard of until then. 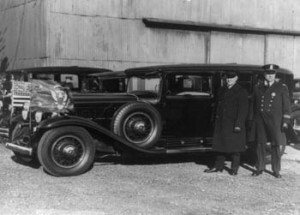 In 1930, Herbert Dow, President and Founder of Dow Chemical died and left Ray hanging with an order of 4 cars that were under construction at the height of the depression. His son, Willard, took over the company and, at his father’s funeral service, told Ray to continue with the order. When they were completed, Willard had the family stand on the porch as the cars were driven in and circled the large driveway in Parade as a tribute to his father. Ray stood with the family as accolades were bestowed. As he told the story, he defined each of the four automobiles. Oh how I wished I had recorded it. 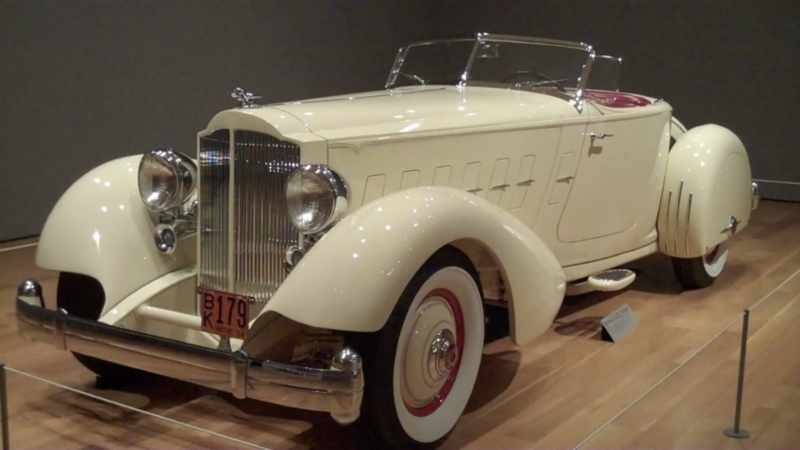 The next year he designed a car for Herbert Hoover. I asked what Hoover was like and he said, “Nothing to say for the man. 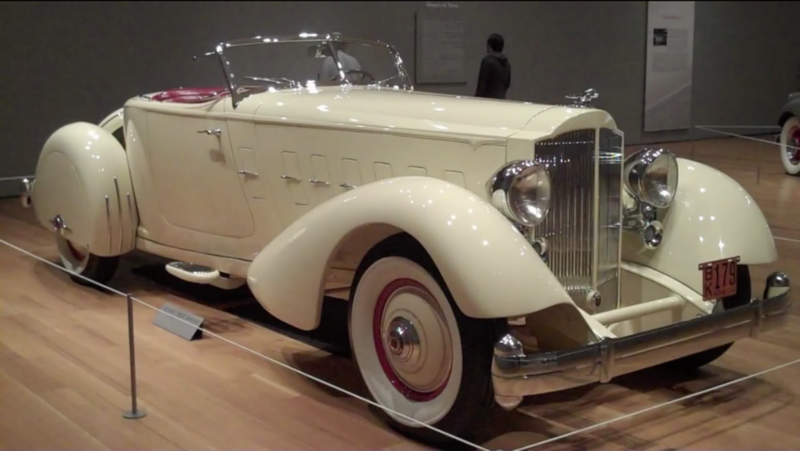 But it was the best V16 Cadillac Limousine anyone could ever ride. It was the depression if you’ll remember.” Raymond Dietrich, a gentleman all the way. I have two letters signed by Ray Dietrich himself. I will sell to the highest bidder.